Dazzling red glazed cherries are a sweet and moist addition to your fruitcake recipe. 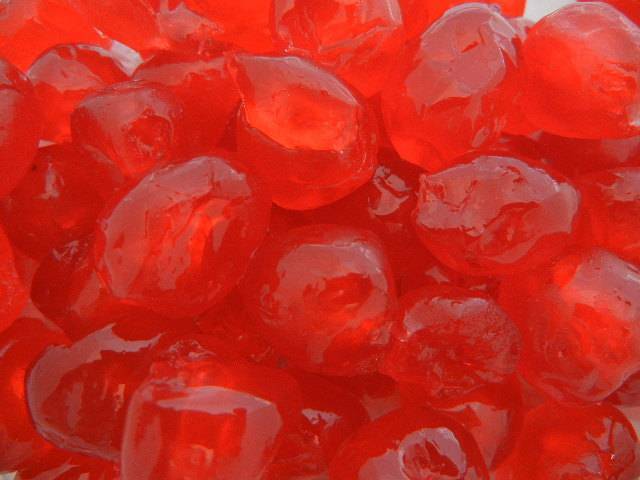 These ruby red candied cherries add sweetness and color to your favorite baked goods. Mix some into vanilla ice cream and top with melted fudge for a decadent dessert.